Toomas Hendrik Ilves served as President of Estonia from 2006 to 2016. In this post, he was key in driving the initiatives in e-government and cyber security for which the country has been acknowledged as a world-leader. On Tuesday, Toomas delivered a keynote address at the ‘‘Future of Oman 2040” Seminar in Muscat. Toomas pointed out the world is rapidly evolving in our digital era. “Yes, industry, industrial production and sales are all undergoing a radical revolution from 3D printing to drone deliveries of retail goods, but that is but a small part of it.”According to him, the digital era is upending power relationships, security thinking, indeed much of what we have thought of as ‘geography’. He argued, the size of a country, its population and landmass, its natural resources matter far less than they did a decade ago. Jim O’Neill stepped down from Government, having been Commercial Secretary to the Treasury from May 2015 until September 2016. During that time, and since Spring 2014, Lord O’Neill had chaired a formal Review into AMR (antimicrobial resistance) reporting its final recommendations in May 2016, and contributed to high level agreement at the UN in September. In an article for Project Syndicate, Jim predicted a ‘Better British Story’ this week. Jim wrote that despite all of the doom and gloom over the United Kingdom’s impending withdrawal from the European Union, key manufacturing indicators are at their highest levels in four years, and the mood for investment may be improving. While parts of the UK are certainly weakening economically, others may finally be overcoming longstanding challenges. 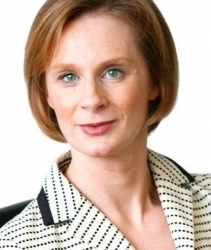 Anne McElvoy is Senior Editor and former Public Policy Editor at The Economist. She has been a Political Columnist for the Evening Standard since 2001. She is also the presenter of the BBC Radio 4 Shows the Moral Maze and Free Thinking. Dominique de Villepin was Prime Minister of the French Republic from 2005 to 2007 under the Presidency of Jacques Chirac. He is one of the foremost advocates of a new global governance based on multilateralism, and a reformist leader in French, European and global policy. Dominique gave an address at the 4th World Internet Conference held in Wuzhen, this week. In it, he emphasised that he welcomed China’s active moves to create the digital Silk Road. He said it was important that more countries had good digital access, otherwise it would become a source of greater inequality in the world, contrasting that while in the West and in parts of Asia, digital penetration was around 80 percent, this was not the case everywhere. Robin Niblett CMG became the Director of Chatham House (the Royal Institute of International Affairs) in January 2007. Before joining Chatham House, from 2001 to 2006, Dr. Niblett was the Executive Vice President and Chief Operating Officer of Washington based Center for Strategic & International Studies (CSIS). During his last two years at CSIS, he also served as Director of the CSIS Europe Program and its Initiative for a Renewed Transatlantic Partnership.